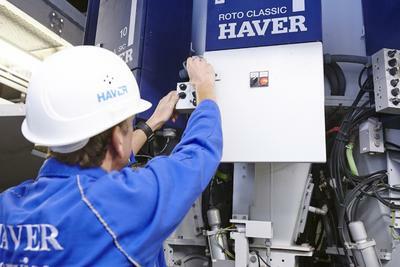 HAVER & BOECKER delivers the electrical engineering and automation. As a general contractor, our subsidiary company IBAU HAMBURG led the construction of a cement terminal for CEMENTA HeidelbergCement Group at the port of Malmö, Sweden. 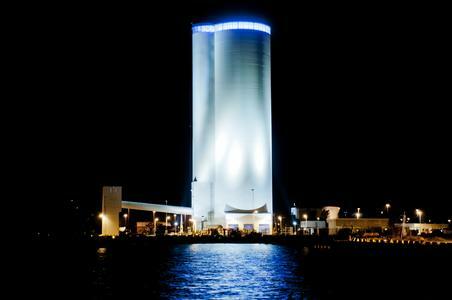 When approaching the Copenhagen, Denmark airport at night, it is possible to see the distinct skyline of the multi-chamber silo, which is fed by a mechanical-pneumatic ship unloading system, is 100 meters tall, has a diameter of 26 meters and contains 30,000 tonnes of cement. Automatic loading of tanker trucks and wagons is done 365 days a year. 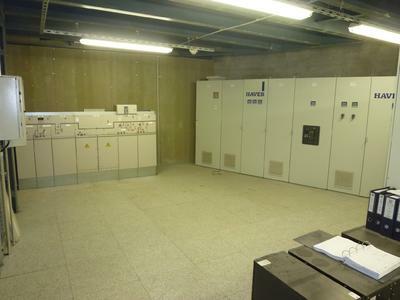 During the planning phase, IBAU worked in close cooperation with Heidelberger Technology Center in Brussels and it was decided that the control room in the multi-chamber silo would be moved to Level 1. This offered the advantage of considerably reduced cable paths through silo walls. Because space for the switching and control cabinets, energy distribution and transformers was limited, we opted for maintenance-free, gas-isolated medium switchgear. 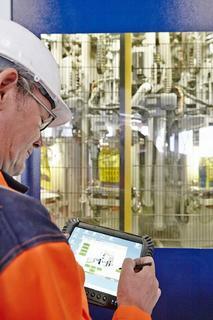 The electrical installation involved a number of demanding challenges for the personnel. 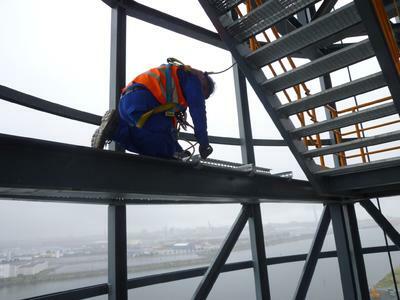 Installation of the cable works and laying the cable in the bucket conveyor tower - from Level 0 to 100 metres - required special cranes and had to be carried out by workers who weren't afraid of heights. 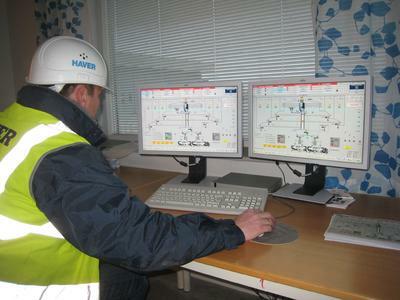 One challenge for the automation systems supplied by HAVER & BOECKER was adapting the PCS7 process control system to the silo processes so that clear and well-arranged process groups resulted and thus allowed easy operation and rapid fault detection. The tanker trucks and wagons are automatically loaded according to the shipping orders thanks to the data exchange between the process control unit and the shipping system provided by CEMENTA AB. By cooperating closely with Heidelberger Technology Center Brussels, the processes were optimised so that the terminal could be operated without operating personnel. After the start-up of the facility, the terminal was successfully handed over to CEMENTA AB in March, 2012, after almost 2 years of planning and construction work. HAVER & BOECKER extends its thanks to Heidelberger Technology Center Brussels, CEMENTA AB, the terminal operator, IBAU and all subcontractors for the excellent cooperation. Without such a performance such a short time would not have been possible.